HILL TRIBE SILVER COILED SPIRAL EARRINGS Each piece is approximately 20.3 x 32 mm in size. The price and weight given is per piece. The minimum order is 1 pair. 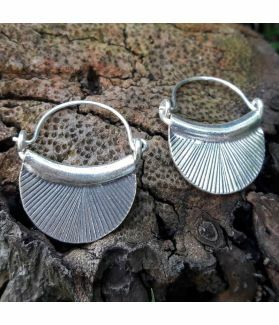 These fine silver earrings comprise of 99% silver which have been made by the hands of the Karen hill tribe communities and local artisans of northern Thailand. 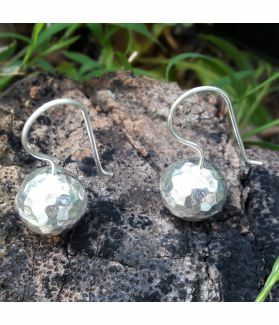 The silver purity softens the texture of these hill tribe silver earrings, however enhances the quality and minimizes tarnishing. The treasured knowledge of crafting this gorgeous Karen silver piece with traditional methods dating back centuries has been passed down through generations. The unique, handcrafted style, the ethnic, cultural touch, and the passion behind it brings out a sense of connection towards the Karen hill tribe communities and makes this creation a masterpiece on its own, one-of-a-kind and simply beautiful. 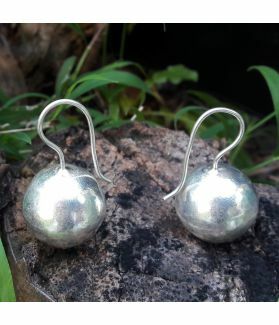 These hill tribe silver earrings can be worn with any outfit, giving it a tribal, free spirit, au naturel look.